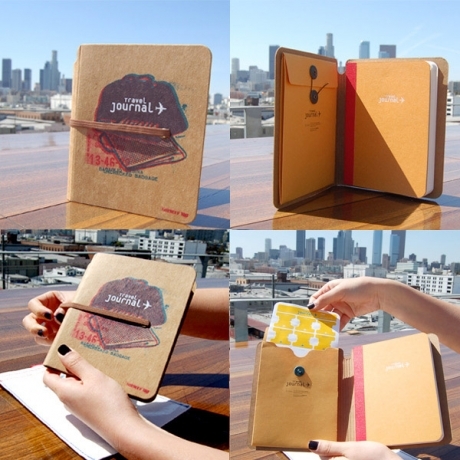 We love the idea of a travel journal that encourages you to keep your memories organized and recorded like this one from Poketo. They put it best "Heavy chipboard cover with a rubber band to secure the notebook. A pocket to save your tickets, receipts and other little memories from your trip. Pre-planning section with a check-list of things to bring. Detailed day by day itinerary. Daily Planner and notes section". Now all of those business cards, napkins and matchbooks that remind you of the best meal of your life while away can be properly stored for future walks down memory lane. Available here.